At Made By Compression we are in a constant search for true leaders. For those who set their personal goals and standards far above the rest. We aren’t simply an Athletic Apparel Company. We are here to represent a true standard of excellence. 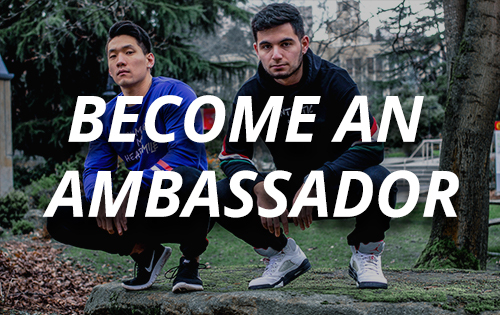 What are we looking for in our Brand Ambassadors? A great physique, intelligence, personality, and a touch of personal style. If you have made it this far, we believe you possess these qualities. Made By Compression was built for those who can push through busy days, long hours, and excuses to create a constant source of happiness and health within their lifestyle. There is a 30-day trial period for MBC Brand Ambassadors where we will monitor your growth and progress, both on the business side, and your personal lifestyle. As an active brand ambassador you will receive the best deals possible for all future orders. A percentage based commission off of a custom code for your friends and family, and of course we will feature you on our social media platforms! In the section below please take a little time to let us know about yourself, and which goals you currently are working towards.